Aastra, a leading company at the forefront of the enterprise communication market, announced that its Aastra IP Phones for Microsoft Lync are now available for sale in conjunction with the release of Microsoft Lync. The Aastra 6721ip and 6725ip phones deliver exceptional quality and value while tightly integrating with Microsoft Lync, making them powerful unified communications (UC) devices. These phones can operate independently from a PC so can be easily and widely deployed. 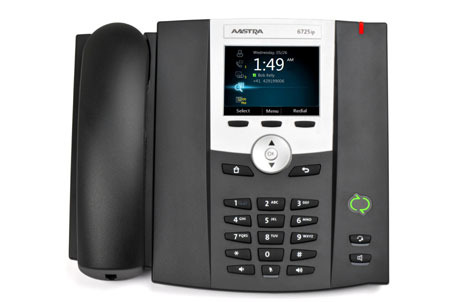 The Aastra 6725ip offers the additional benefits of PC connection via USB cable for a tight integration with Microsoft Lync Server 2010: click-to-dial is enriched with presence status ensuring a more efficient call management for business users and team collaboration. wideband audio which enhances the clarity of all calls, a particular benefit for companies doing business internationally.